It’s always Karaoke Time and with this app, it’s easier than ever before. Karaoke Time recreates the karaoke bar or private karaoke room experience in your own home. 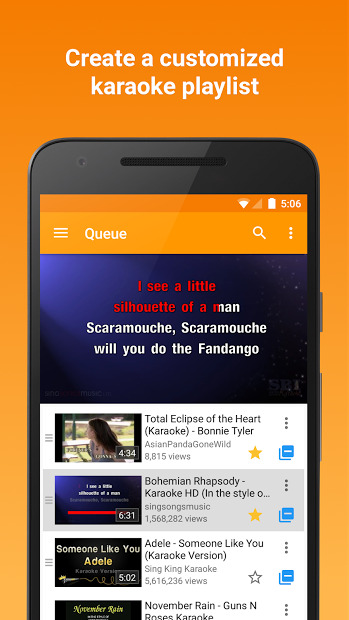 Easily customize your playlist and broadcast the lyrics on your device or TV with Chromecast. 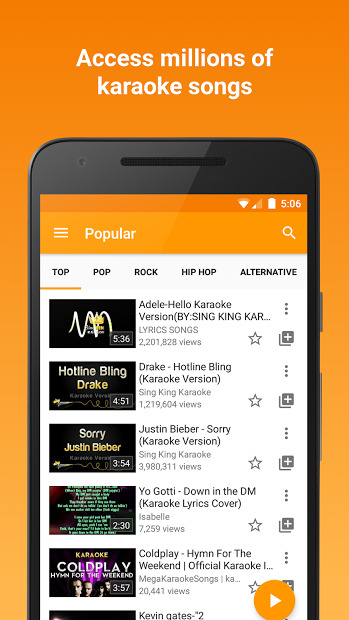 Don’t worry about which songs are accessible through the app because it connects to millions of karaoke songs from YouTube, easy to browse and find your favourite hits.